TiE New York Startup Open Mic Night ~ Cheers to health! We invite you to TiE New York's monthly Startup Open Mic Night event for an exciting night of networking and pitching! This event is not your typical meet and greet. Our theme this month is Heath Tech. Come listen to Jack Kaufman discuss how he sources and evaluates Health Tech startups for Dreamit Ventures. Dreamit Ventures is a fund and accelerator focused on startups with revenue or pilots that are ready to scale. Next up, William Reisacher, MD, Associate Professor of Otolaryngology - Head and Neck Surgery and Director of Allergy Services at Weill Cornell Medical College/NewYork-Presbyterian Hospital will speak on biotech and digital health-tech. He has been a co-founder, inventor and senior advisor for several early-stage companies in the biotechnology and digital health-tech areas. 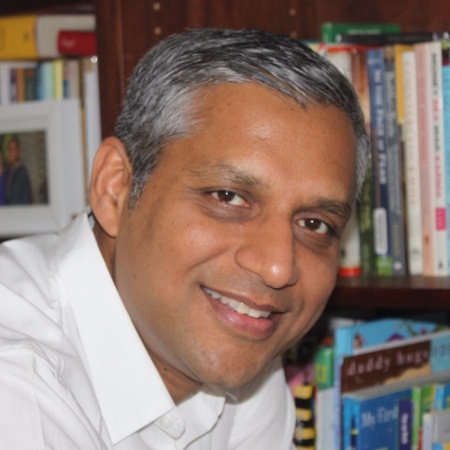 And from the investment community our own Board Member, Sab Kanaujia, Founder and CEO of Dia Ventures, will discuss the healthcare marketplace as well as give tips on working with investors. Sab is an investor in healthcare startups. This December we'll also catch up with our Pitch Competition finalist, Zohar Steinberg. His pitch earned his company $20,000 in Google Cloud Credits. Zohar is the Founder and CEO of Token Payments. He will share his experience with TiE New York's mentor program and will introduce Token. (You can start register now to be matched for a mentor in January on ny.tie.org). To pitch you donâ€™t have to be a TiE member, you just need to be a startup and/or investor with the passion to give your elevator pitch for 90 seconds in front of a group of angel investors, venture capitalists, startup-focused service based providers, mentors, and a large community of other successful entrepreneurs. Each attendee must register in order to be included on the building's security list. If you plan to speak, please register as a "Presenter". If your company is speaking but you are not the key speaker, register as a non-member or member (whichever applies). 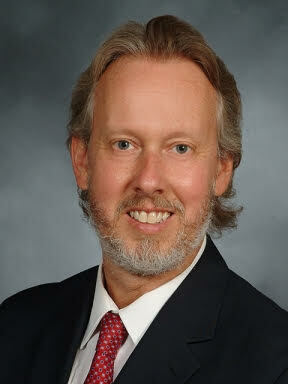 Speakers should arrive by 6:30 pm and check in with our speaker coordinator. Should we need to limit the number of speakers due to high demand our members will be given priority to speak. But don't fear, its easy to join TiE! Become a member by signing up on our website at ny.tie.org. RSVP for this free event, here! As a marketing and community associate, Jack focuses on sourcing and evaluating health tech startups, assisting with content marketing, and creating opportunities for Dreamit Ventures to engage with the startup ecosystem in New York City and beyond. He also works on identifying and executing other promising digital marketing initiatives for Dreamit. Before joining Dreamit, Jack worked as an associate at Bombas, a mission-driven, high-end apparel startup. 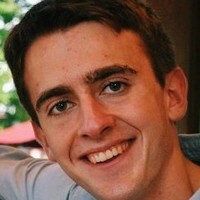 Jack gained marketing experience through previous internships at companies like Dreamit and Wildbit. Sab Kanaujia is a globally recognized entrepreneur, executive, advisor and investor in the digital technology industry. During his two decades working with Fortune 200 firms and disruptive startups in US, Europe, Asia and Latin America, Sab launched several path-breaking global digital ventures like Hulu and TMZ, and played a key role in the digital disruption of the media & entertainment industry. As a startup founder, executive, advisor and investor, he has been involved with twenty-two companies over this period, ten of which have had successful exits, including four IPOs (NASDAQ and NYSE). He has held executive roles with Secret Cinema (Interim CEO), NBC Universal (GM/VP, Digital Product Strategy & Development), AOL (Director, Corporate Development, Video Product Strategy), among others. Sab is committed to creating similar transformative value in the healthcare industry that is ripe for fundamental digital transformation. Digital Health is his primary focus. He launched Dia Ventures, a startup advisory and investment firm based in New York City, that is filling a key gap in healthcare innovation through technology entrepreneurship. Dia Ventures combines domain knowledge in the healthcare industry with expertise in building transformative digital products and scalable businesses. It provides critical high-touch support to healthcare industry entrepreneurs, equipping them with the proven digital playbook that previously transformed other industries using technologies like big data, AI, mobile, cloud computing, messaging and video. As a New Yorker since 1998, he is excited to see the phenomenal growth of the Cityâ€™s entrepreneurial ecosystem. Sab is committed to making New York City the countryâ€™s premier ecosystem for digital health. He lives in Manhattan with his wife and two daughters. Zohar Steinberg is a serial entrepreneur an award-winning product innovator and a loving father (not necessarily in that order) with passion for creating great products that make a difference in people's lives. Zohar is the founder and CEO of token (www.jointoken.com), a New York based, security driven, payment company on a mission to help you and everybody else pay without experiencing payment fraud, making it a thing of the past. Thank you to our event host, Simple Contacts! Lenses you need. Office visits you donâ€™t. Get your brand of lenses delivered, on your schedule, at a great price—with a prescription renewed at home. It's that simple. Thank you to our event host Simple Contacts. What is TiE New York's Tech Startup Open Mic night? It is an opportunity to not only network with members of the TiE community that includes angel investors, venture capitalists, startup-focused service based providers, mentors, and a large community of other successful entrepreneurs, but it's also a real opportunity for you and your business to receive the right type of exposure to the right people, right now. Entrepreneurs who preregister and arrive and check in with our speaker manager before 6:30 pm will have 90 seconds at the microphone to introduce themselves, pitch their business, experience getting funding, making investments or raise pertinent discussion point(s). Should we have more speakers than time allows members will be prioritized on the Mic. But don't fear, it's easy to become a member on ny.tie.org. You don't have to be a TiE member to attend, although we hope you'll join! This event is open to entrepreneurs, angel investors, VCs and all of you who are looking to build a network. Your 90 second pitch. We provide you the floor to offer you visibility with our community, and answer questions from a friendly audience. Come prepared to really harness the opportunity. How Often Will You Host These? Monthly, typically on the second Tuesday of each month. Go to www.ny.tie.org for a full list of our events. TiE is a non-profit, global community welcoming entrepreneurs from all over the world. We believe in the power of ideas to change the face of entrepreneurship and growing business through; mentoring, networking and funding. 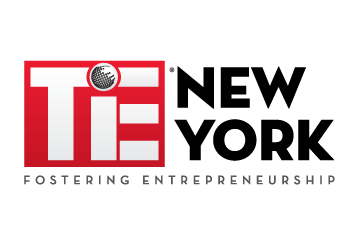 TiE was founded in 1992 by a group of successful entrepreneurs and is currently the worldâ€™s largest entrepreneurial organization out there. With programs like our Startup Open Mic Nights and Mentor Sessions, TiE is reaching out and fostering the next generation of entrepreneurs. We help entrepreneurs go global. As a TIE member, you are connected with over 15,000 members across 60 chapters. Wherever in the world you are, you'll have the opportunity to meet leaders, attend events and participate in unique speaking opportunities. From outsourcing advice to global business development, TIE has you covered. Being a TIE member is your gateway to global business. Join today. To learn more, please attend an event, join our mailing list, or become a member!